Following the User-Centered Design approach of one of the world’s most respected research universities (University of Milan), over a two year period, Ideal-tek gained a full understanding of the needs, wants and frustrations of end users. Subsequent painstaking attention to detail at every stage of the design process resulted in the creation of the ideal handles. Precision Swiss manufacture provides quality, accuracy and longevity. Anti-slip ESD-safe rubber surface ensures a better grip and a more pleasant feel. 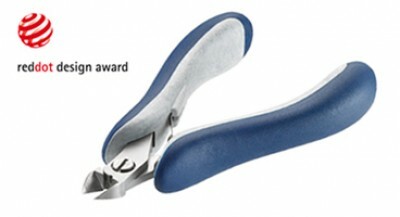 Rounded handle surface and a perfect thumb shape provide maximum operator comfort. New Ideal-tek handles fit perfectly in the palm of the hand. The addition of Italian design brings beauty and elegance.